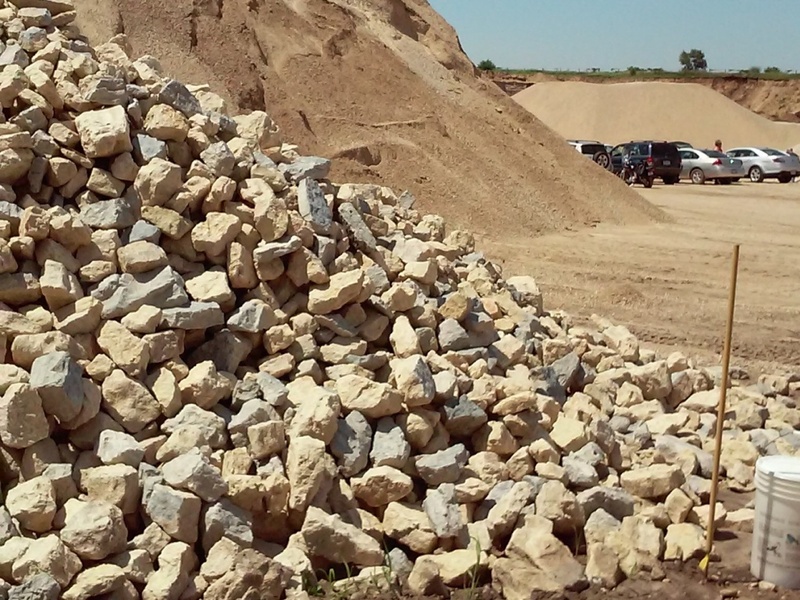 Other piles of rocks from the surrounding area can be found there too. They mostly contain fossils. 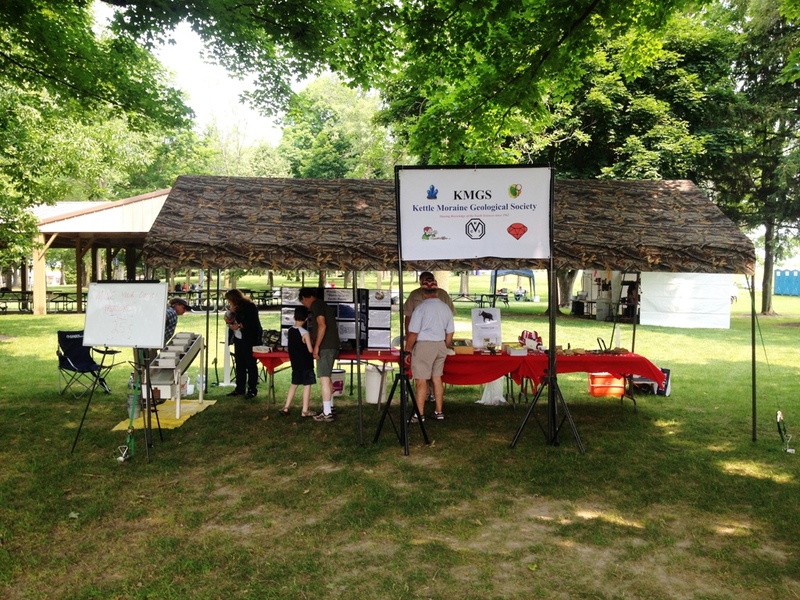 The Germantown 4th of July celebration was a great place to display our new KMGS club banner. 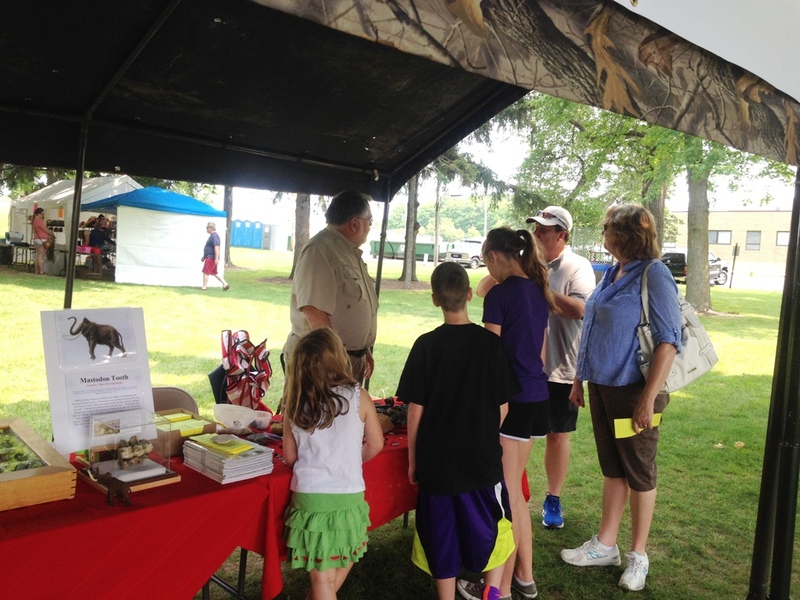 John Rettler and his wife, Mary, organized our club's representation at the celebration. Hundreds of fliers were handed out to the people stopping by our tent. 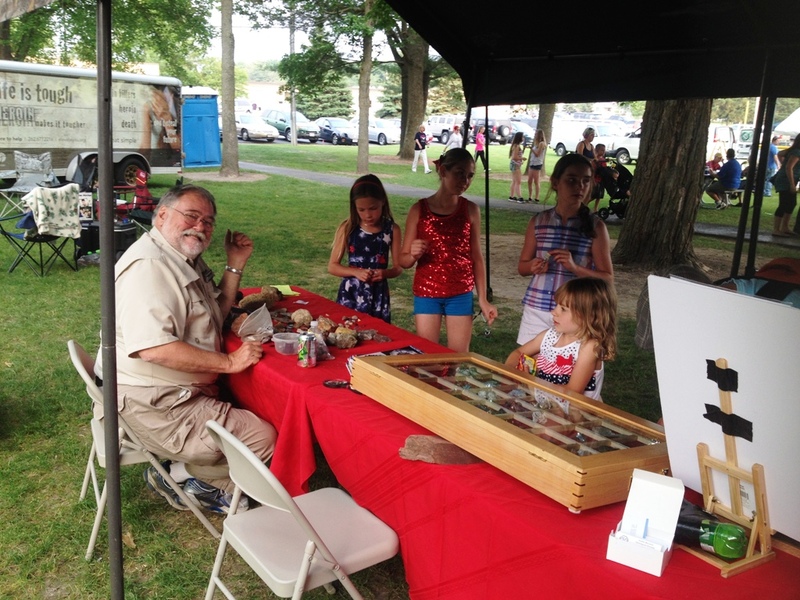 Past President, Mike Andrysczyk, talks about the rocks we have on display to those that stop by. 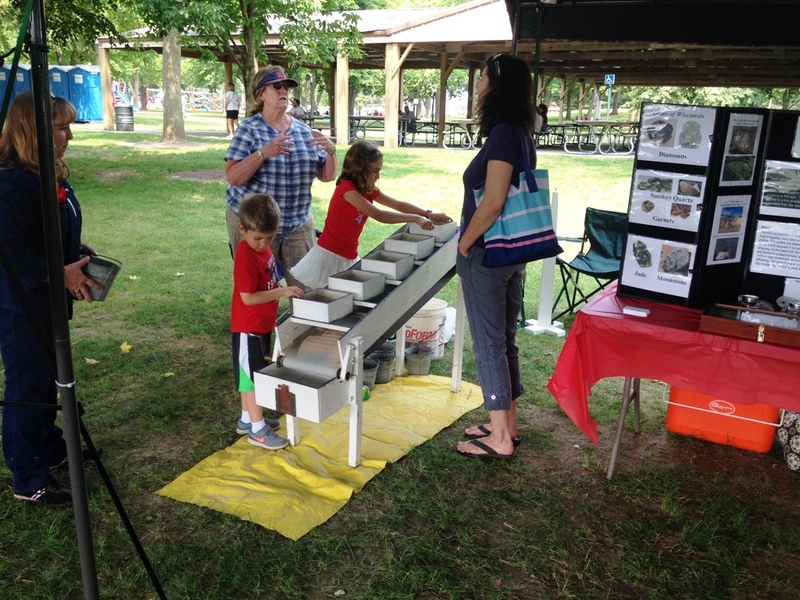 Suzanne Andrysczyk discusses, with a parent, our club's focus on education while the young rockhounds find what is hidden in their containers of sand using the sifter. 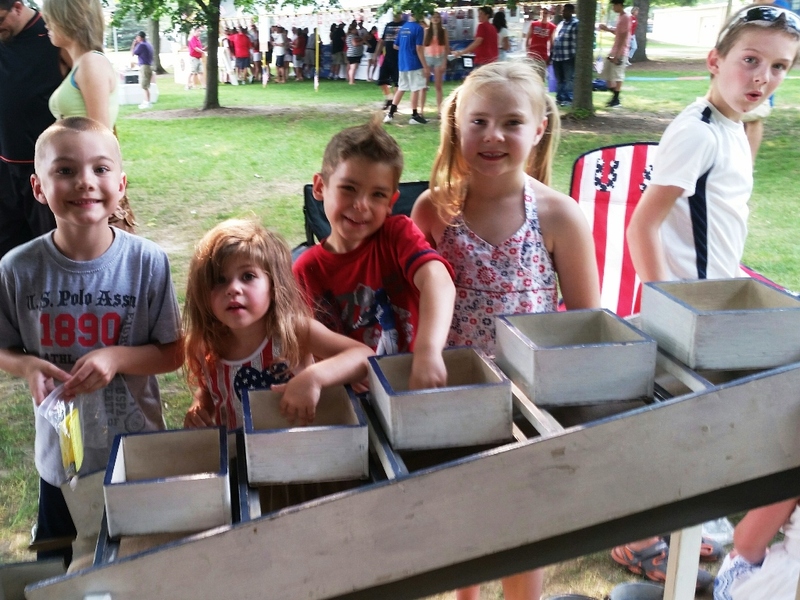 The children love the sifter. They can't wait to find the polished stones and rocks hidden in the sand. Mike helps the children identify what they have found. 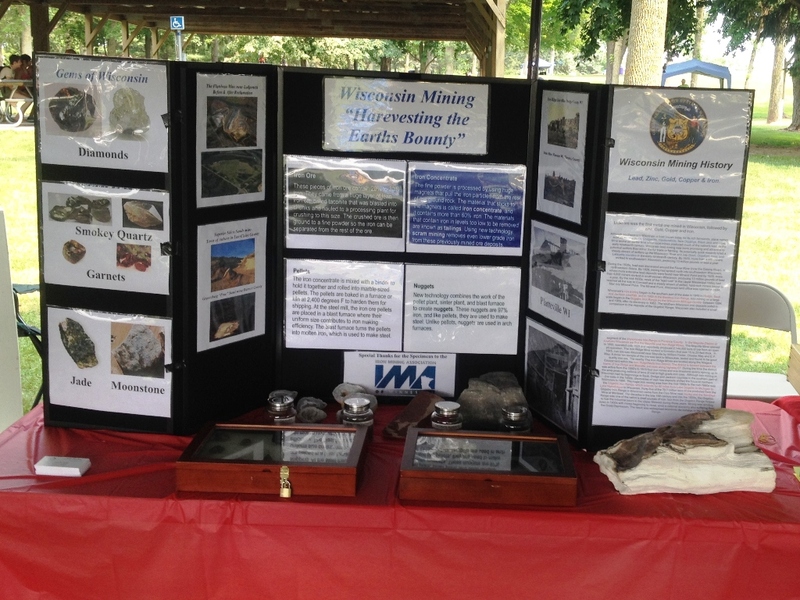 John's display was called "Wisconsin Mining." This is a very important state topic and it got a lot of attention. 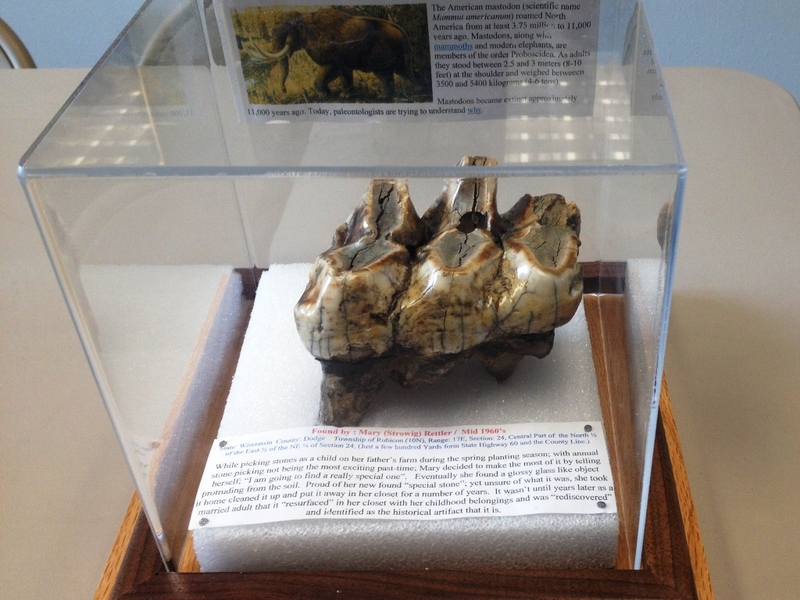 On display was a tooth from a mastodon found on a Wisconsin farm in the mid 1960's by Mary Rettler. It is now on display at the Horicon DNR Visitor and Education Center. It was good to see Bernice McCloskey at the KMGS 2015 picnic. She is one of the club's founding members. 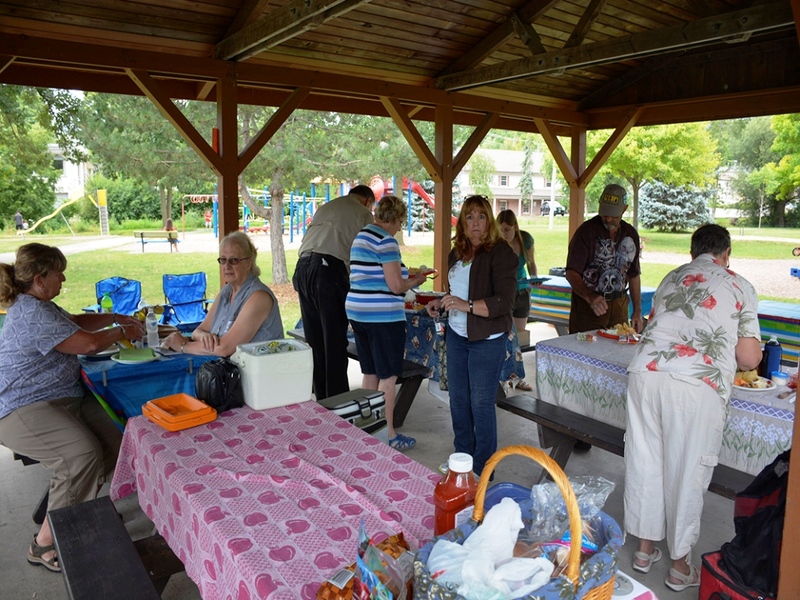 Nixon Park in Hartland provided a perfect setting for our picnic.